It took a lot of trial and error, but I finally figured out how to set keys and do my first animation with the human figure. 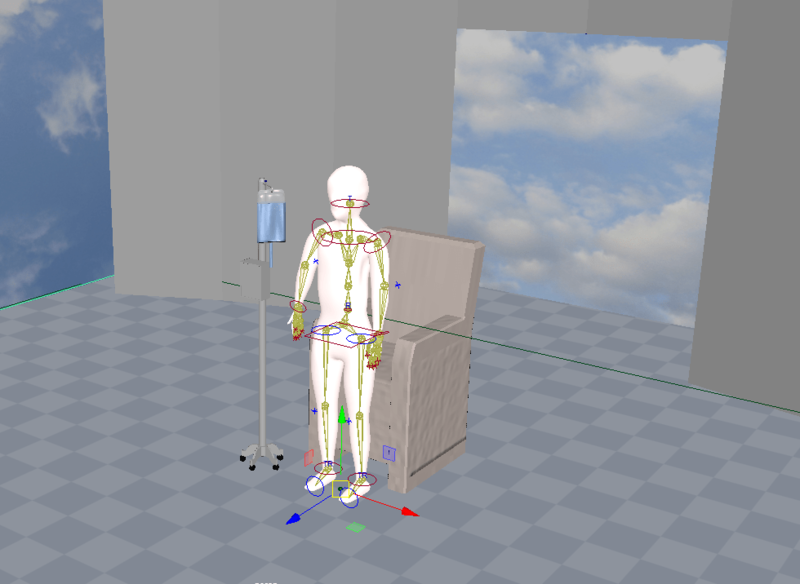 In this scene, the figure sits in a chair and the IV tube comes down toward the arm. Here is another animatic after I added some lighting. I used an ambient light behind the figure near the doorway, and a diffuse spotlight directly in front and slightly overhead. I wanted it to look like a clean, white, sterile environment. The shadows give it an edge of tension to empathize with the tense feelings of the patient. I adjusted the height of the beginning and end points, so that the camera would go up and down as well as around the curve. You can see from the animatic that it needs some tweaking, but this helped me understand the general theory. 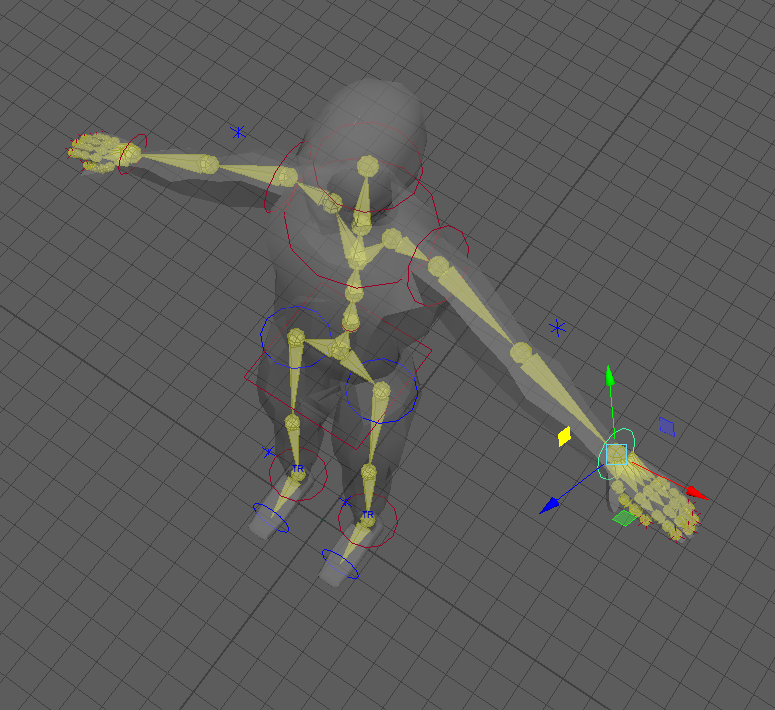 The figure will need some correcting due to the skin deformation that occured when the bones were rigged. I will need to do more research/get help on understanding how to correct with paint weights. 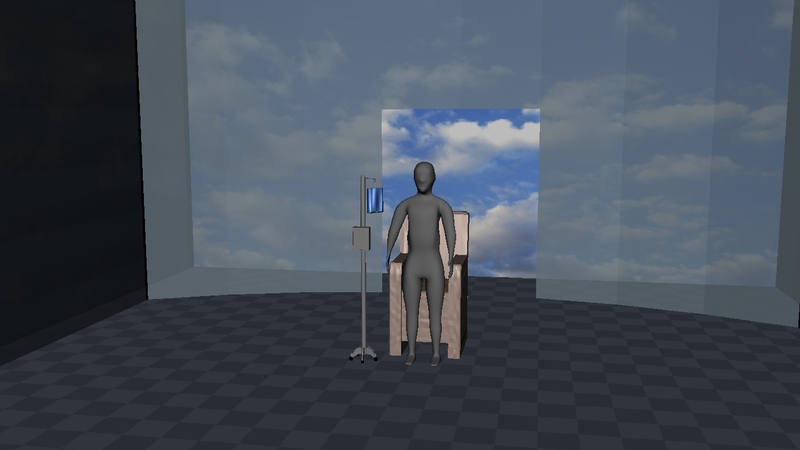 I began adding some walls, furniture and textures to the hospital room. Overall I think I need to work on the textures more; I’m not sure about the transparent wall but I wanted to experiment with something just to see how it looked. 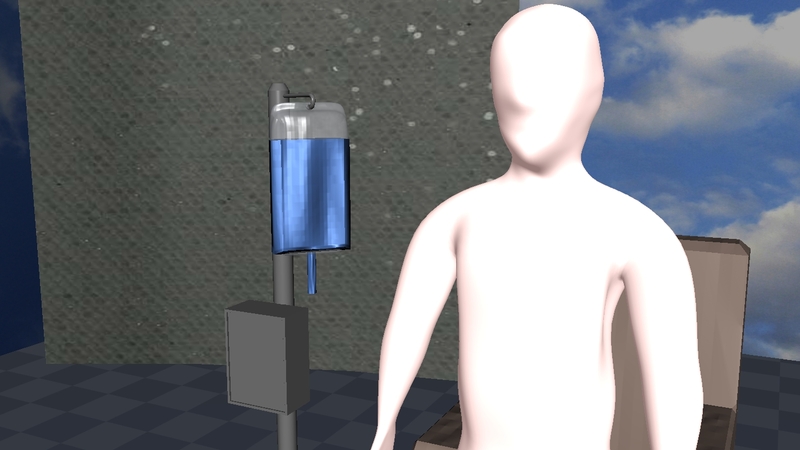 Here is a close-up of the IV drip bag. 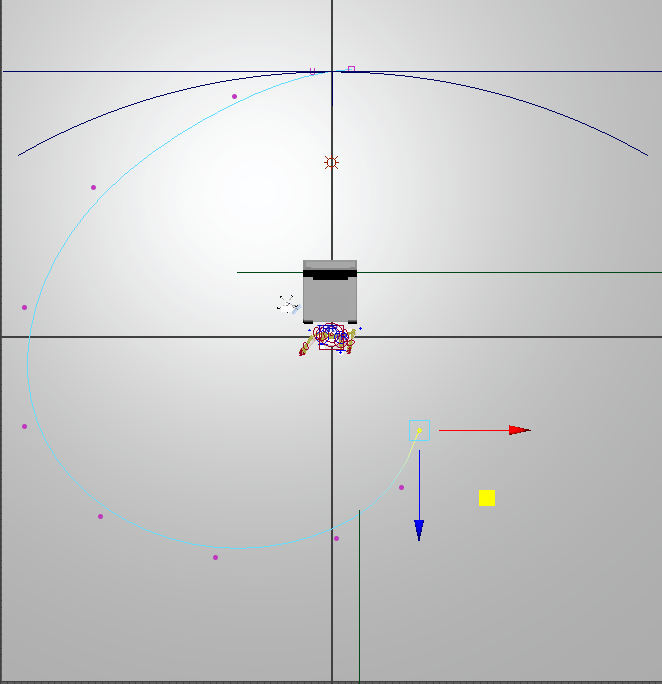 Next I created a camera and constrained it to a motion path. You can tell from the animatic that the path needs some tweaking, but this first attempt helped me understand the theory. Now I can go in and refine my curved path that the camera is attached to. For this scene, it will be a close-up of the blood vessels flowing through the vein. This was done with a simple Pipe polygon. 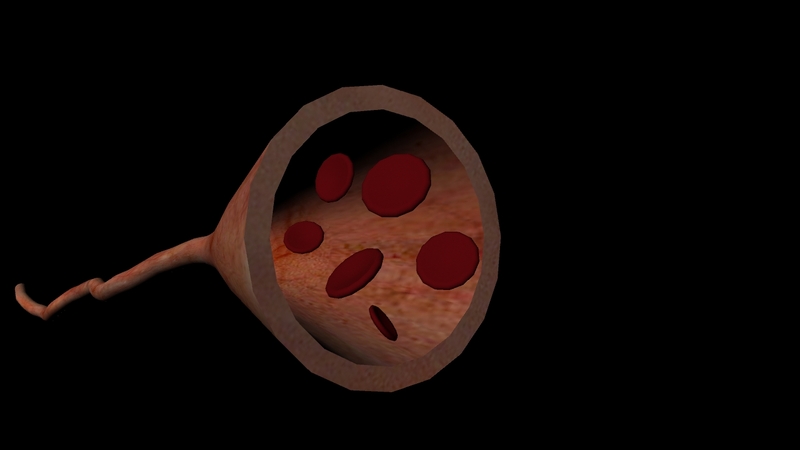 I did the UV unwrapping first while it was still a straight pipe (much simpler that way) then I used the rotate and scale tool to shape it into a more organic shape. I wanted the open end to be exaggerated, so I scaled it up. 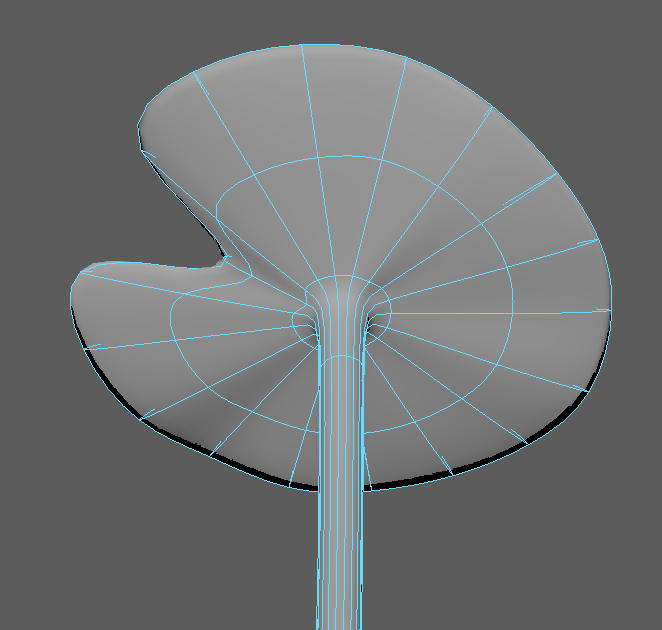 Lastly I used a sphere which I scaled down into a “squished” shape, then pulled vertices down to make it even more concave. 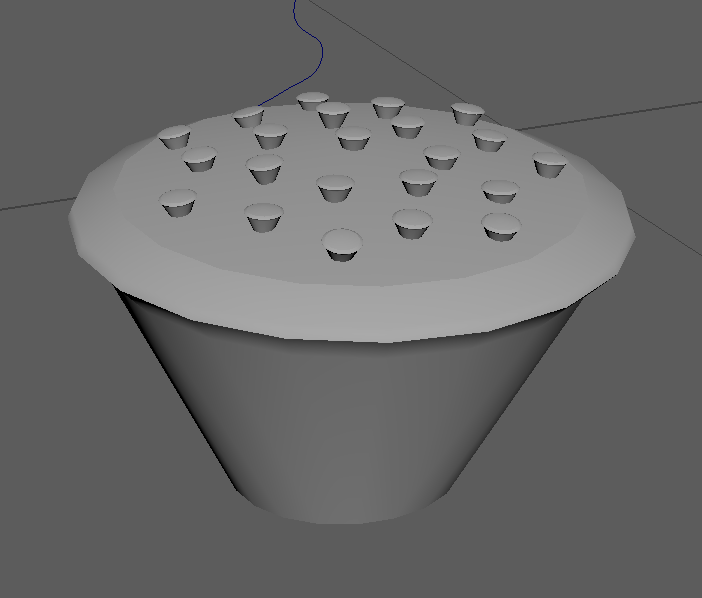 The Paint Selection tool worked great for selecting just the vertices I wanted, and Soft Selection gave it a softer shape when I pushed them down into a concave shape. Overall this scene came together very quickly. Pond scene – a whole new fish! 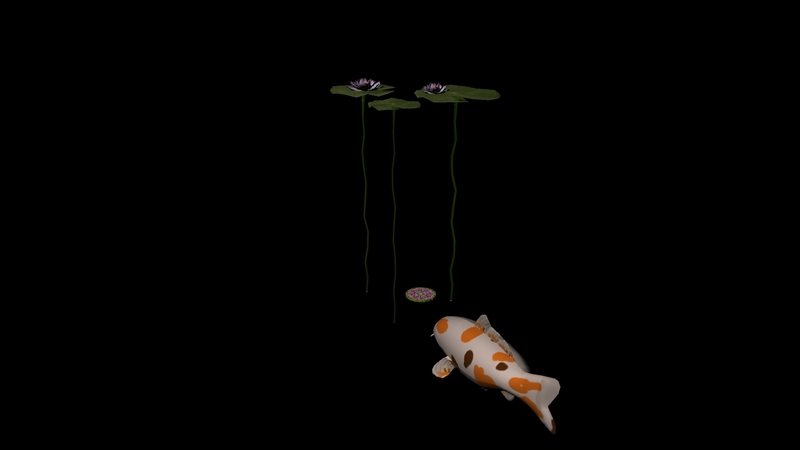 I had a lot of trouble with the UVs on my first fish; apparently I had two identical copies of the fish occupying the same space and time. 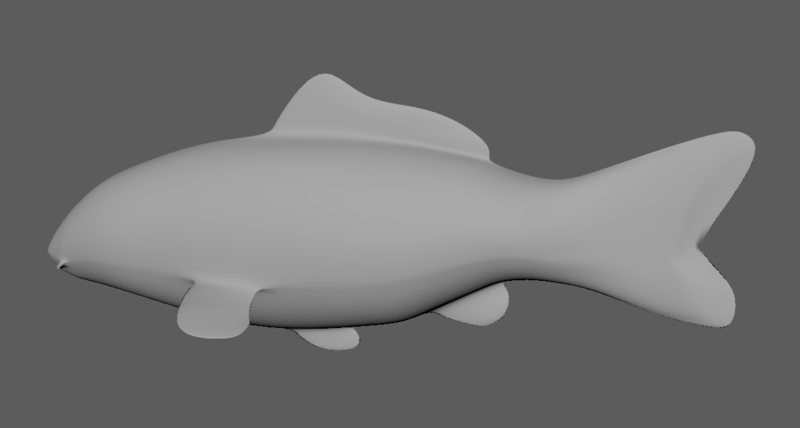 I tried for a while to figure out how to correct this, but in the end decided that I wasn’t really that happy with the box modeling of that fish – it seemed too square and blocky, so I wondered what it would be like to model a whole new fish using a cylinder instead. I was much happier with this version of the fish, which took me about two hours to complete. 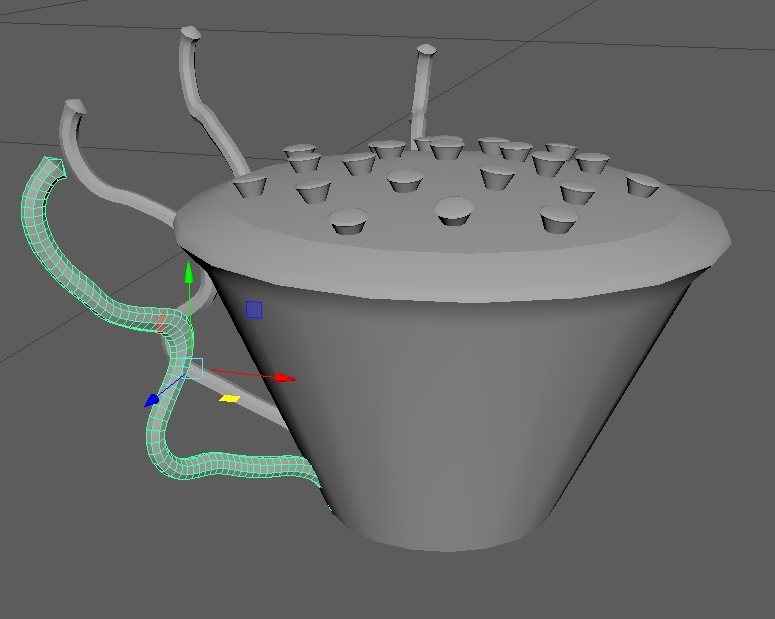 I proceeded to unwrap it in Maya, with a lot of trial and error. I eventually got a UV “skin” that seemed to work, and began painting a texture in Photoshop. As you can see it still has a ways to go, but I was pretty excited to get this far. Some of my fins are facing the wrong way, but this gives me a good idea of where to go next. The hardest part will be getting a realistic texture, considering all the scales and colors, but this is my prototype for now. 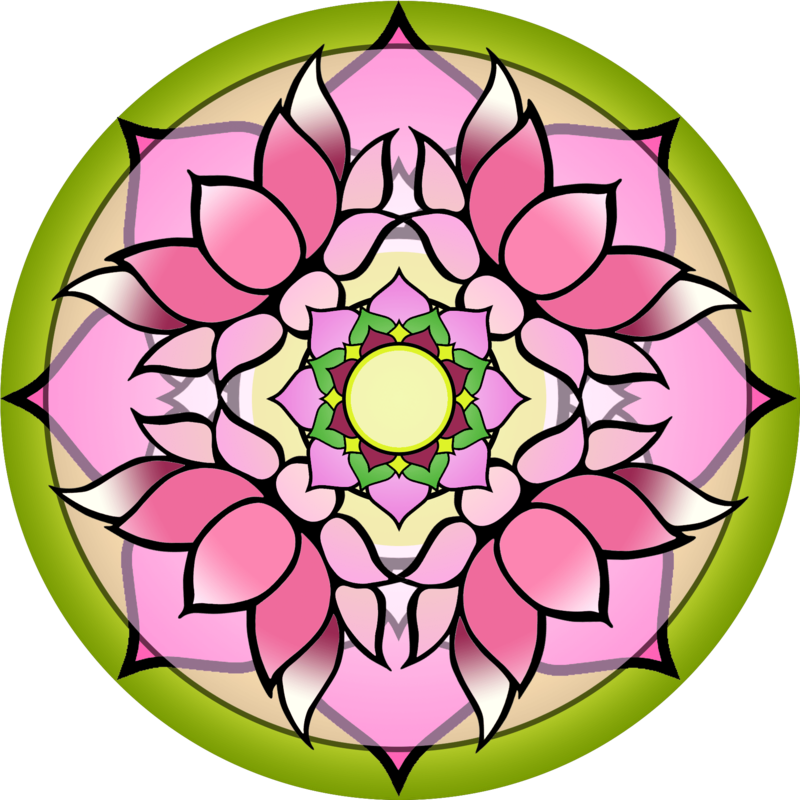 I began working on the mandala disc. 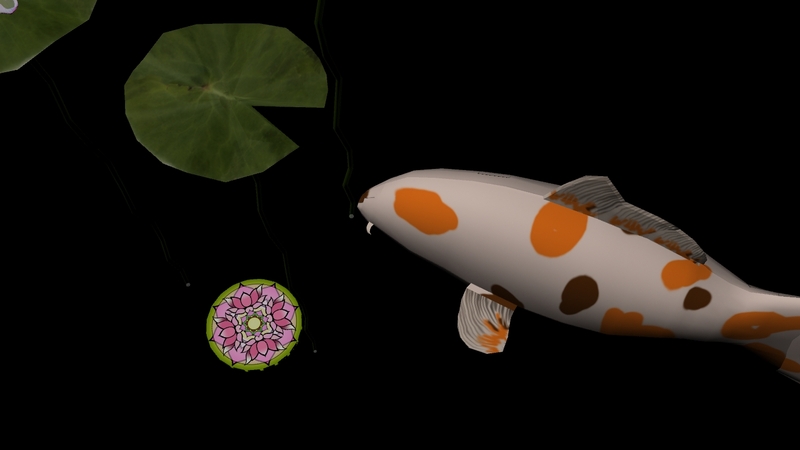 Here is the scene with the fish, lily pads, lotus and mandala all together. 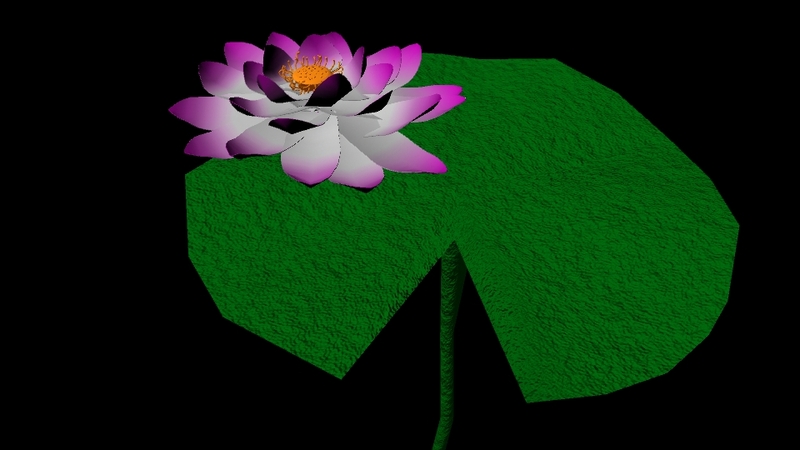 I had originally modeled the lotus flower using procedural rendering to create a “ramp” color or gradient for the flowers, but it didn’t look realistic enough. 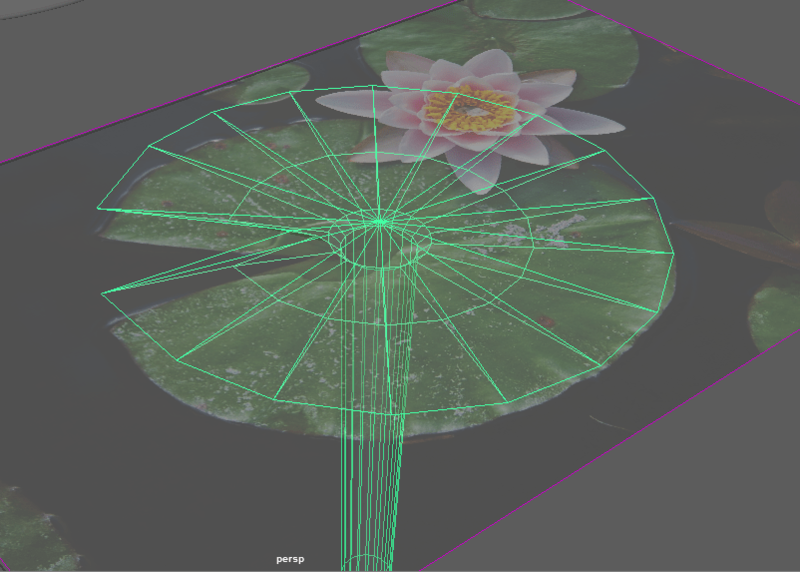 To make the petals look more realistic, I used Maya’s UV Planar tool to get a good UV snapshot of the flower petals. 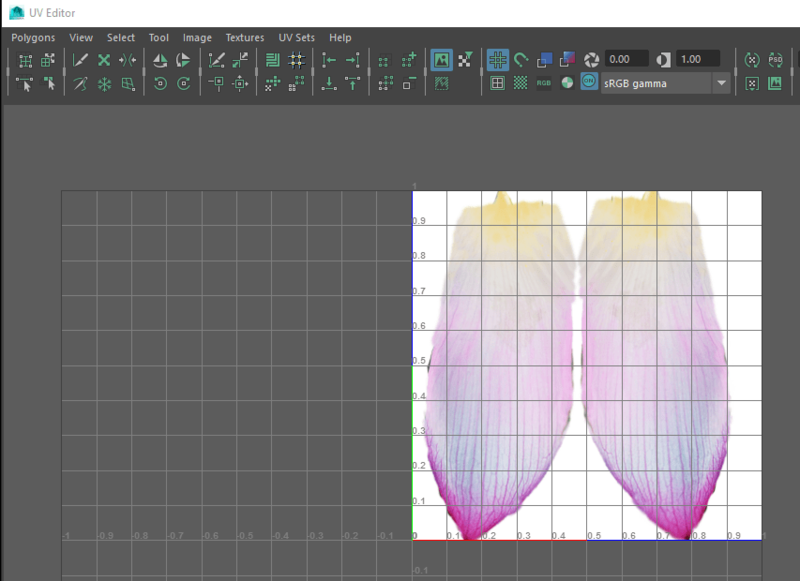 I brought the UV snapshot into Photoshop and used some photos I found on the web, along with some of Photoshop’s painting and editing tools to create a much more detailed flower petal. I duplicated a petal from the previous flower and applied the texture I had created in Photoshop. 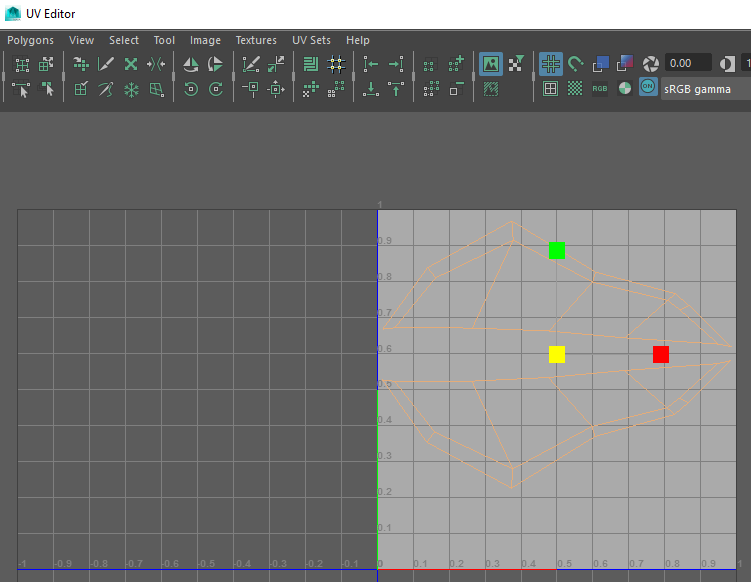 I used Maya’s Edit/Duplicate Special feature to create an array of petals in a circle. 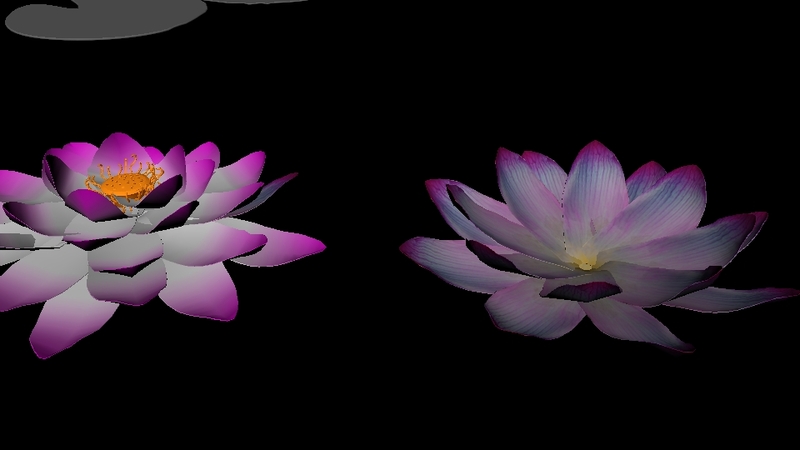 Below you can see the flower of the left was colored using Procedural Rendering and lacks detail. The one on the right is about half-way finished, but already looking better. 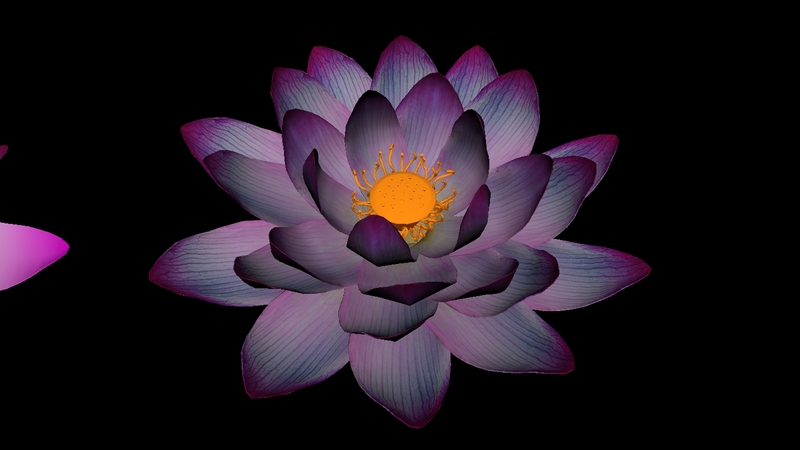 Below is the finished flower using the painted texture. 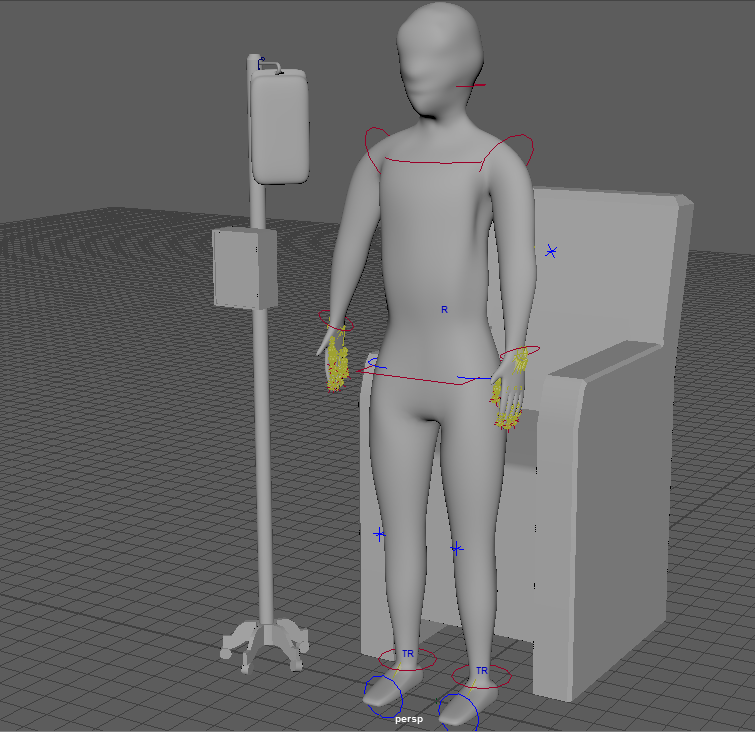 For the hospital scene, I needed to have the figure, a chair for it to sit in, and an IV stand for the chemo. I found a great quick character rigging demo from Michael Banks, which was helpful because rigging has changed a bit in Maya 2016. Once that was done, I moved my character into a more natural position with arms down and used a cube with extrusions to model a chair. I used a cylinder and some extrusions for the pole. 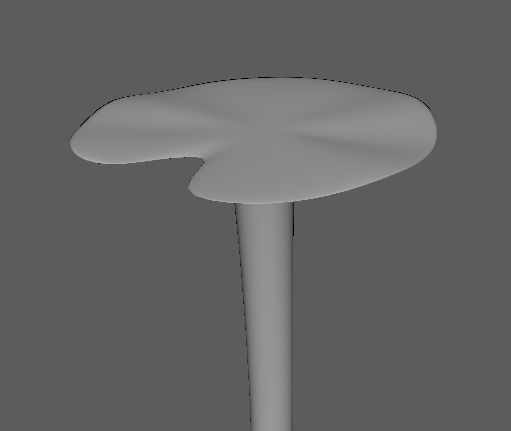 I used a Curve tool to make a shape for the hook, then used a circle shape as the extrusion to give it volume. I used a Boolean operation to punch a hole through the bag with a cylinder. 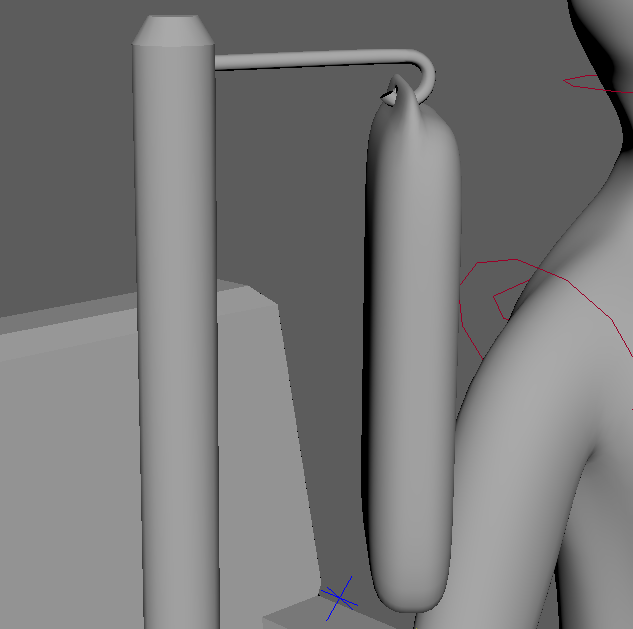 Overall I was pretty happy with learning several new techniques like rigging, curves & extrusions and boolean operations for this part of the project. 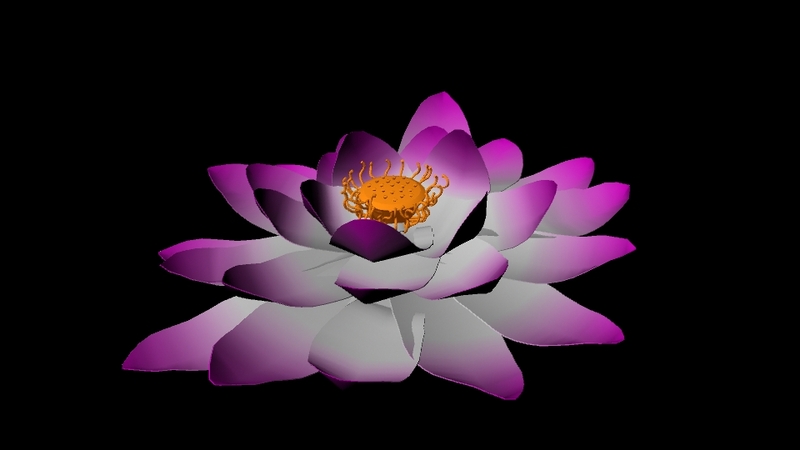 Next it was time to make the lotus flower. I watched a Youtube tutorial by Easton Creations to get a basic idea how to use Lofting and other techniques to shape a petal. Then it was just a matter of duplicating, rotating, scaling and making minute adjustments to each petal to round out the shape of the flower. This took quite a while, because I wanted an organic shape that didn’t look entirely symmetrical. One that was done I started working on the center – the lotus seed pod and stamens. I experimented with a variety of ways to make a lily pad until I found a way that seemed to work best. 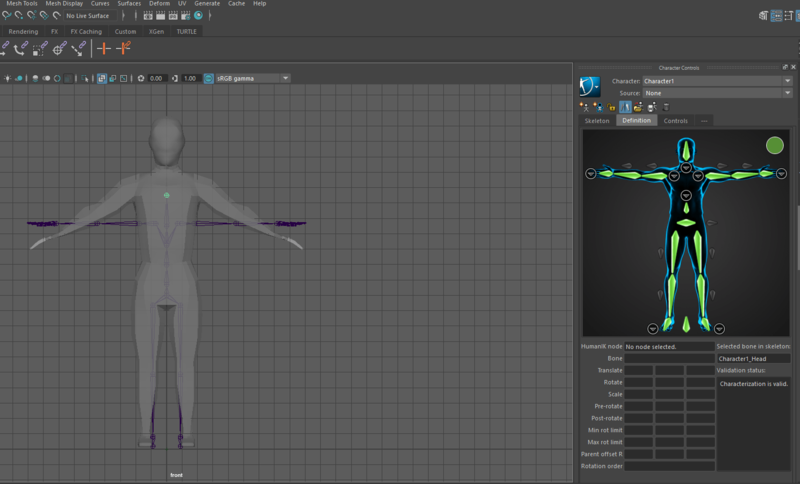 For the first method, I used a curve tool to trace the outline of my reference image. 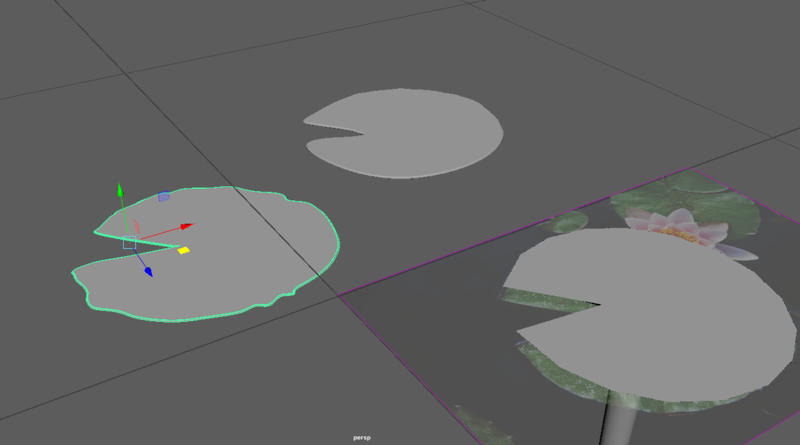 I then used Planar Surface to give the curve a surface. For the second method I again used the curve tool to trace the image, and then I added a second line that ran across the radius of the shape and used the Loft tool. Once I began studying other reference images I began to think about how to attach the stem, and decided on the third method shown below. 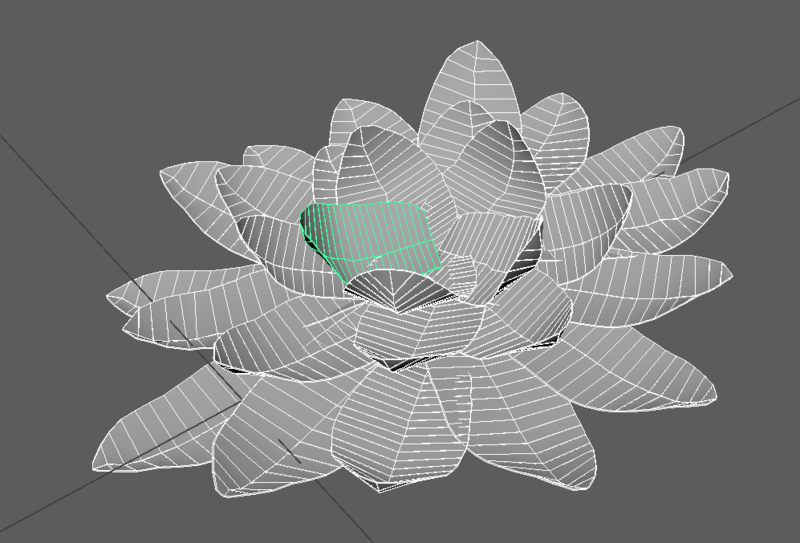 Rather than tracing from the top with the Curve tool, I began with a long cylinder, and then used the faces at the top of the cylinder as the lily pad surface. I extruded the faces up and outward and began pushing vertices into roughly the shape of the reference image. 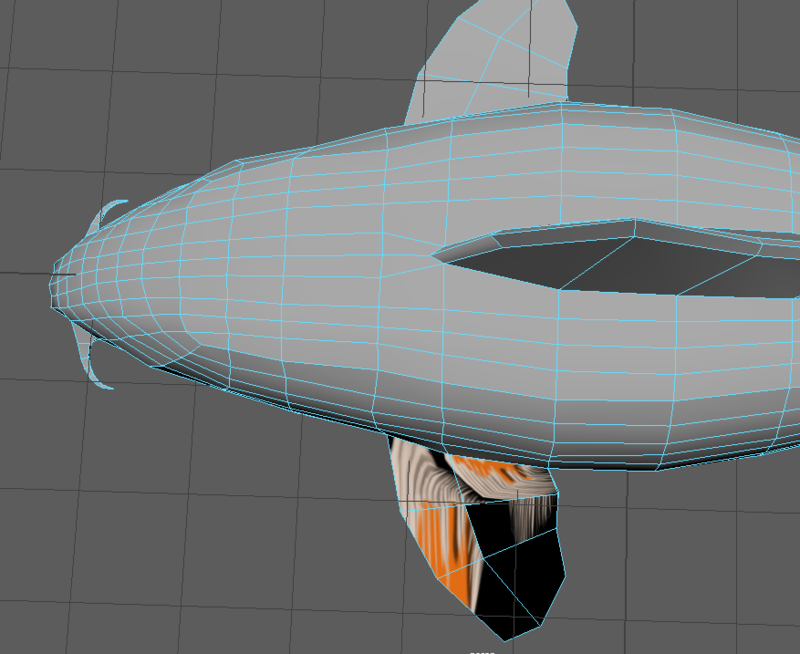 I was able to push and pull vertices to give the shape some irregularity. UV unwrapping is the process of creating a “skin” or “pelt” of your model, so that the outline of the skin can be brought into a painting program like Photoshop, painted, and then brought back into Maya to be applied. There is 3rd party software available to ease this complex process, but I knew for various reasons I needed to learn to do it in Maya. I found a variety of tutorials to help me learn this – you can find them here on my Pinterest board. Obviously I need a lot more work and help with this. It is an entirely different way of thinking and working than the act of modeling an object. 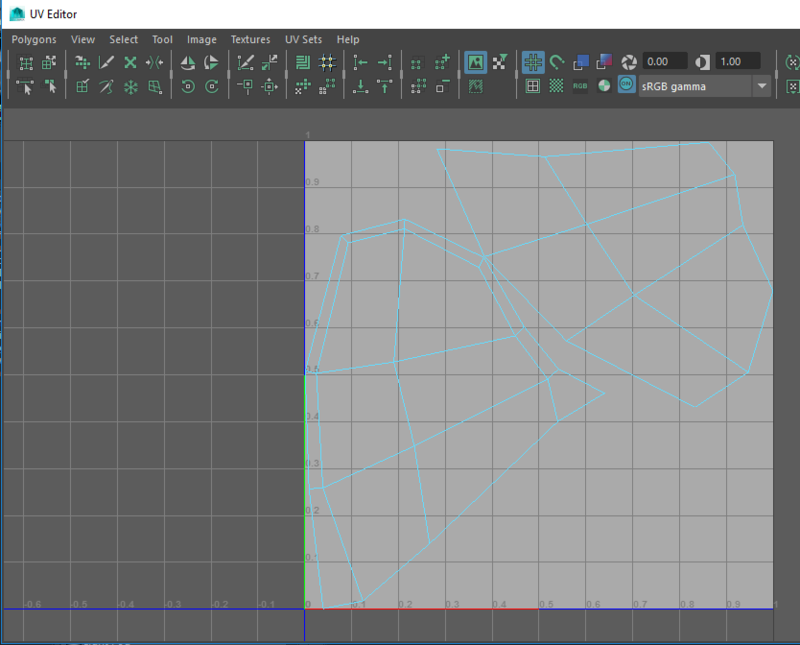 Once the UVs are unfolded, they can be exported out of Maya into Photoshop as a TIF file to be painted. 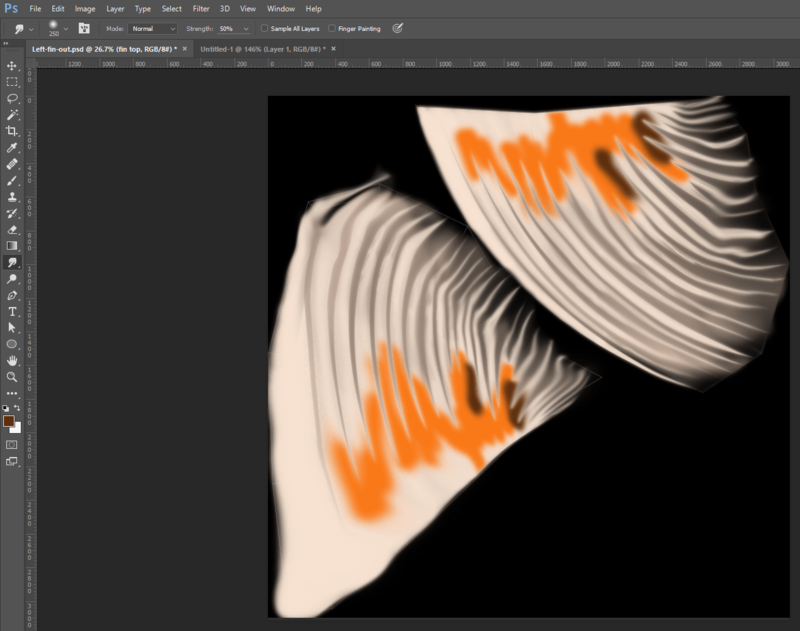 I used a variety of tools such as the Pen tool and brushes to paint the fins. Once I imported it back into Maya I realized I am still having issues making sure the UVs map correctly to the model object. I will update the post once I figure out what went wrong!